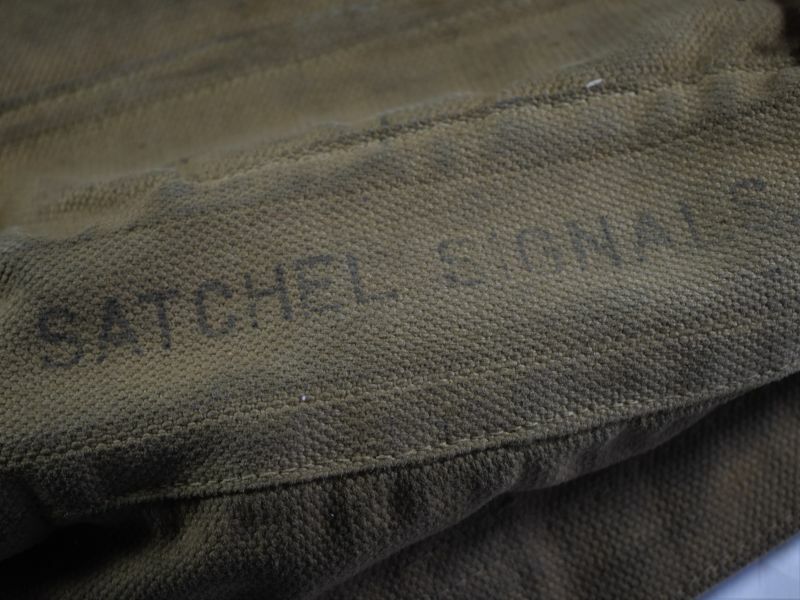 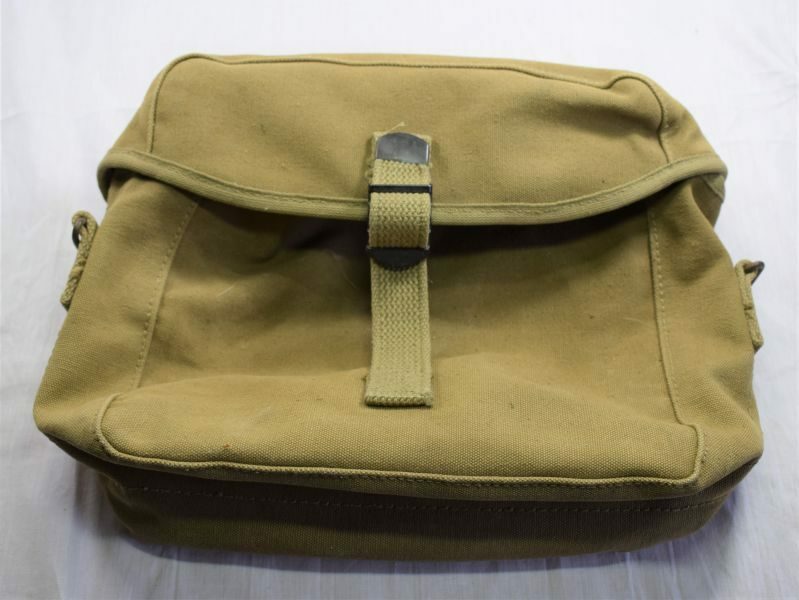 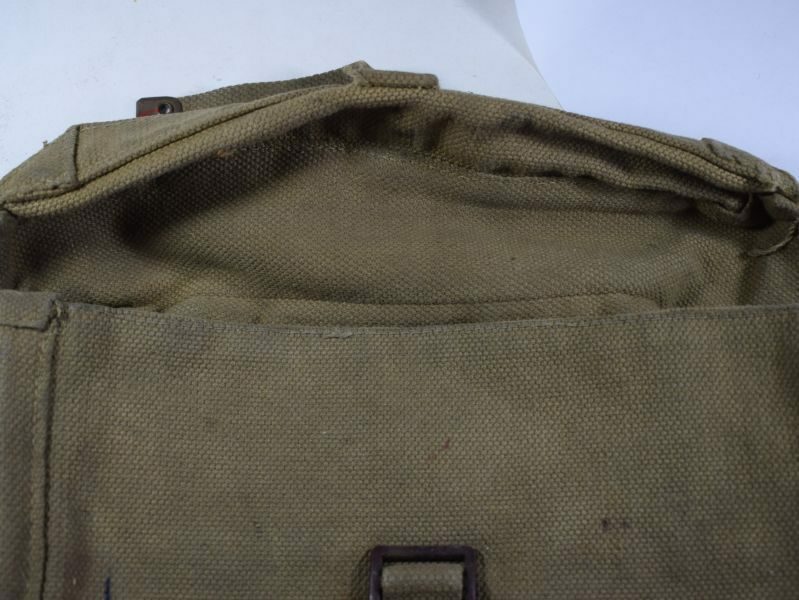 58 An original WW2 British army “Satchel Signals” these were supplied with the wireless sets and would have held, head set, morse key, hand mic etc. 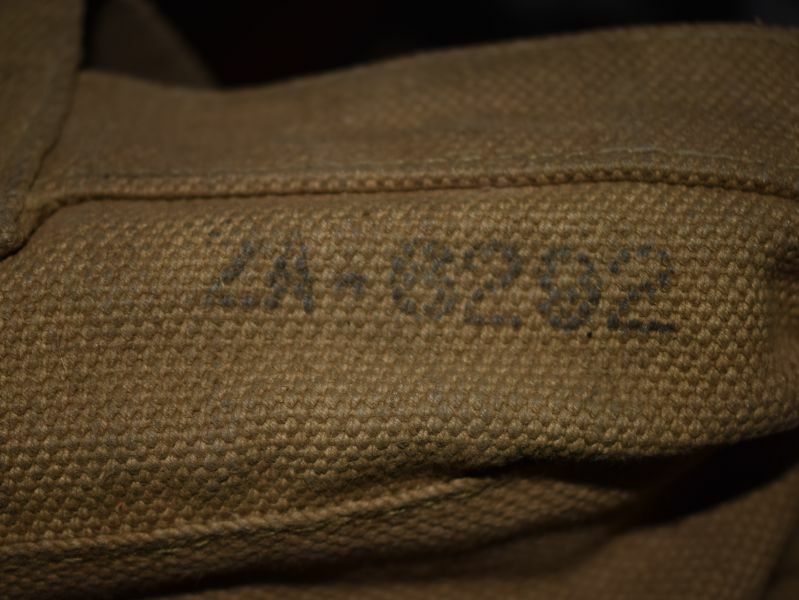 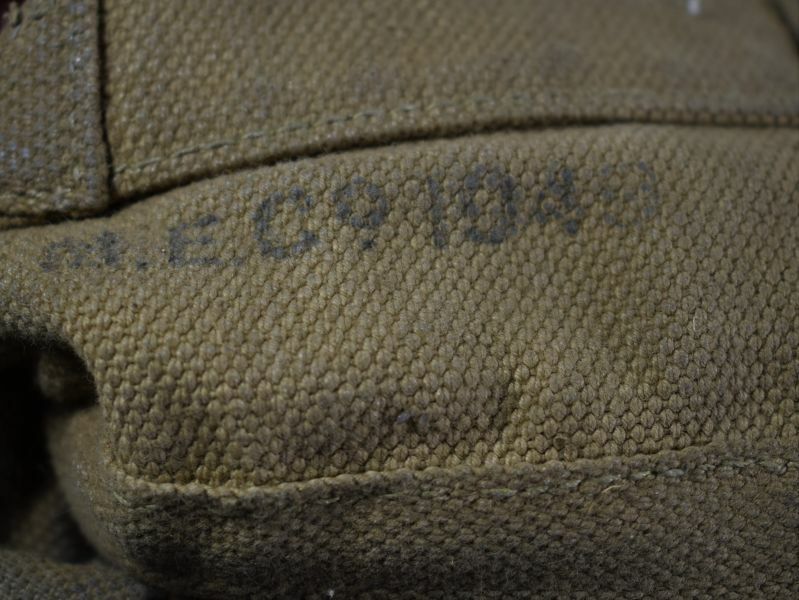 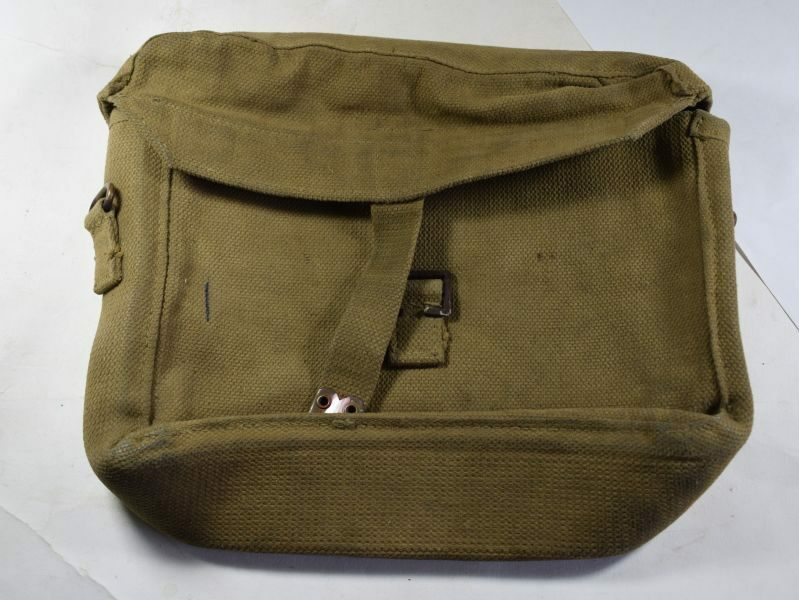 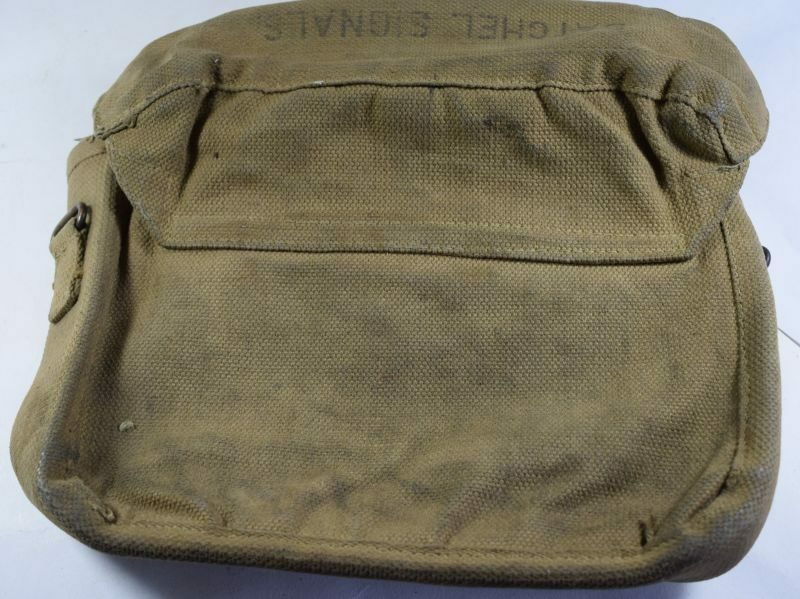 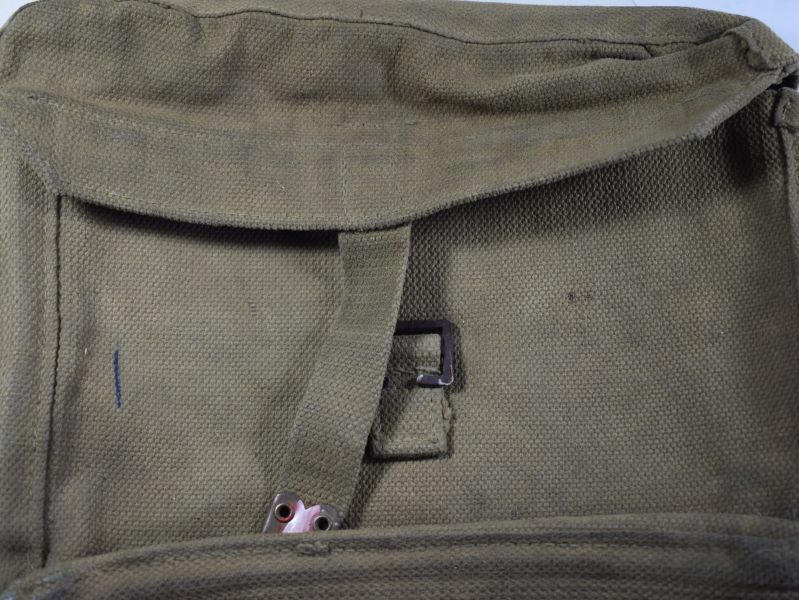 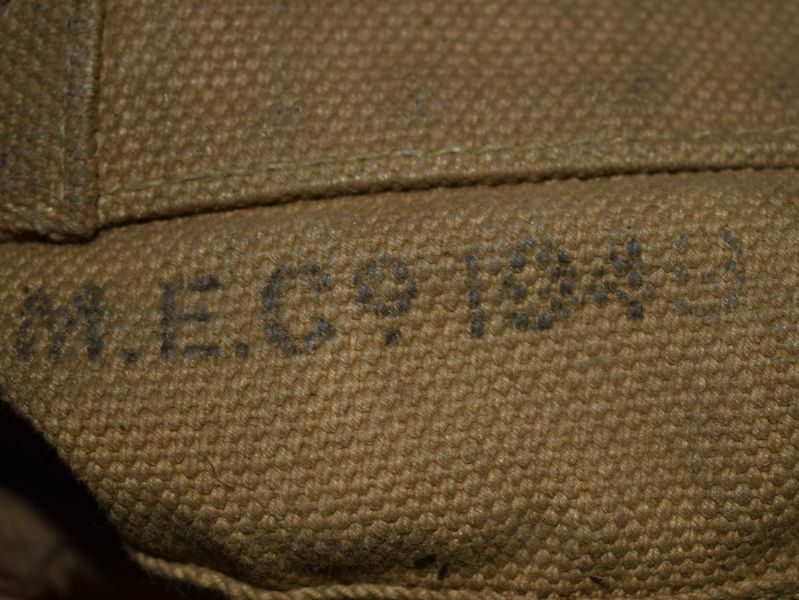 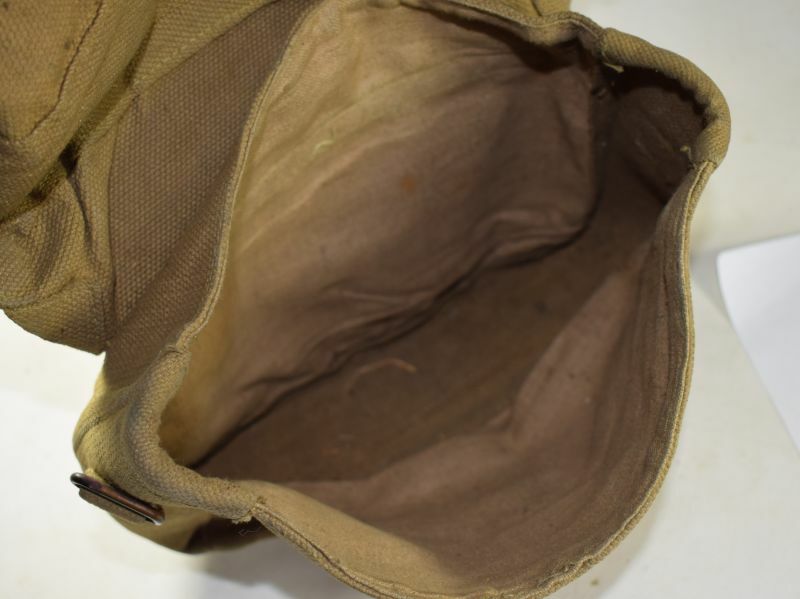 the bag is in good order with no damage, the outside shows dirt and marks from storage and one pen line to the left front (see photos) the underside of the closure flap is marked “MECo 1943, ZA 6292”. 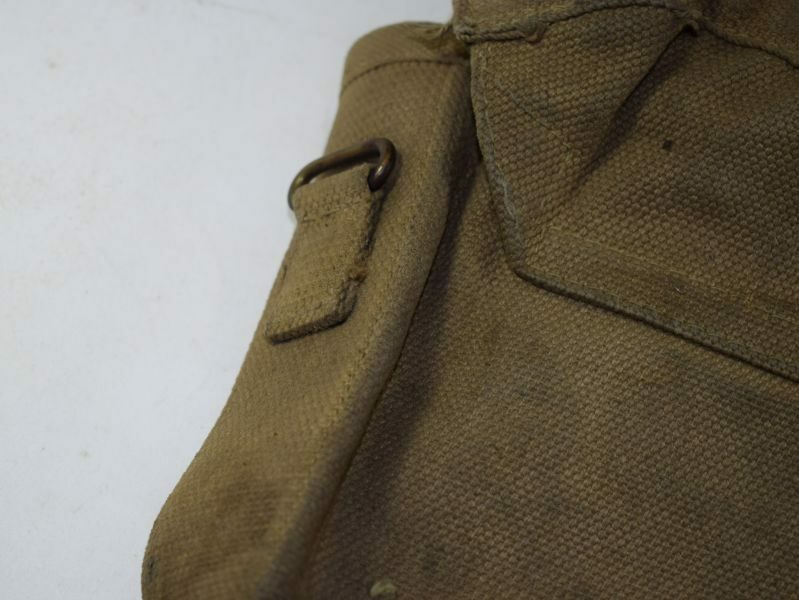 It is nicely lined with white course linen type material which is usually a sign of early war items.